Clarence J. 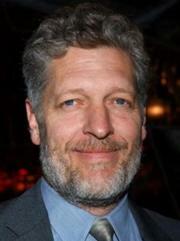 “Clancy” Brown III (born January 5, 1959) is an American actor and voice artist, best known for his roles as Lex Luthor in the DC Animated Universe, SpongeBob SquarePants as Mr. Krabs, Transformers Prime as Silas/Cylas, and Jackie Chan Adventures as Captain Black, Ratso, and Super Moose, as well as several live action roles, such as The Kurgan in Highlander. He will Have the role of Chris Bradford and Dogpound in Teenage Mutant Ninja Turtles (2012 TV series).